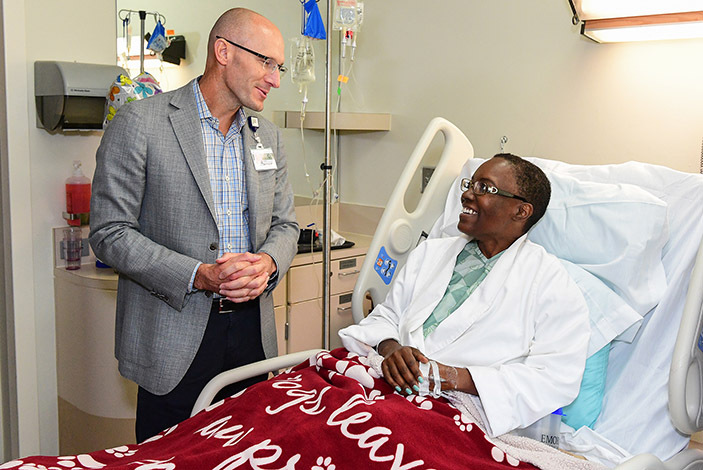 Emory University Hospital CEO Bryce Gartland, MD, visits with Crystal McCollum in her room before she is moved to the new Emory University Hospital Tower. Wendy Delaserna, McCollum’s primary nurse during her stay at Emory, prepares her for the move to the new hospital tower. Crystal McCollum from Ellenwood, Ga., is the first inpatient moved into the new hospital tower on Saturday, Aug. 26. It’s all smiles and cheers as McCollum arrives in her inpatient room in the new Emory University Hospital Tower. The Emory team readies to care for McCollum in her new patient room in the Emory University Hospital Tower. The $400 million, 450,000 square foot Emory University Hospital Tower will be fully operational by the end of October. 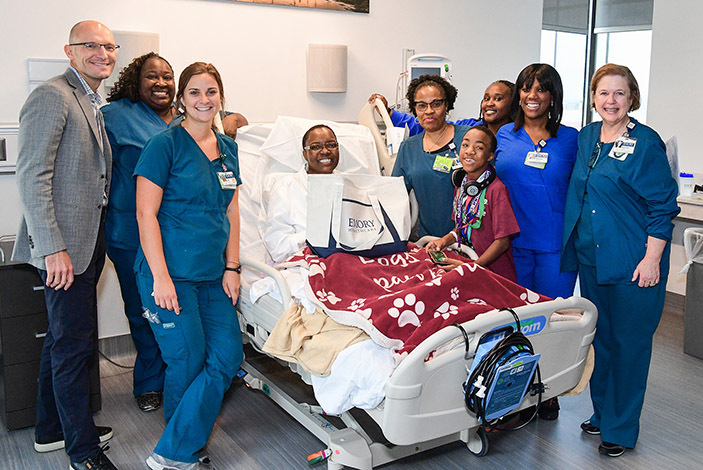 Nurses, physicians, administrators and other hospital staffers clapped and cheered as the first inpatient was rolled into the new Emory University Hospital Tower on Saturday, Aug. 26. 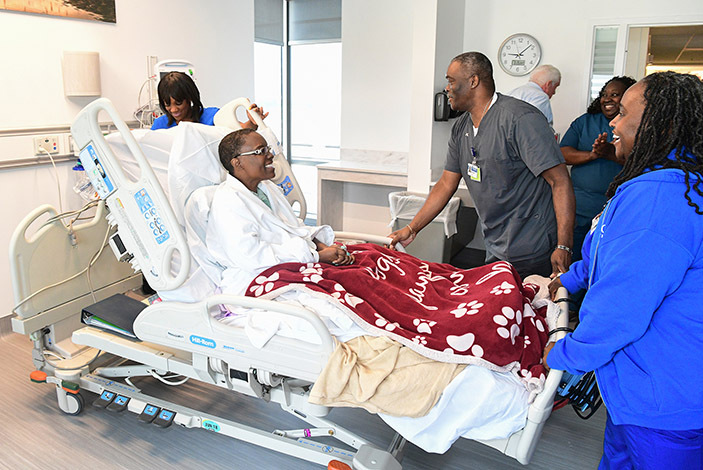 Thirty-four patients from two floors of the current Emory University Hospital were all moved to one new unit in the hospital tower. 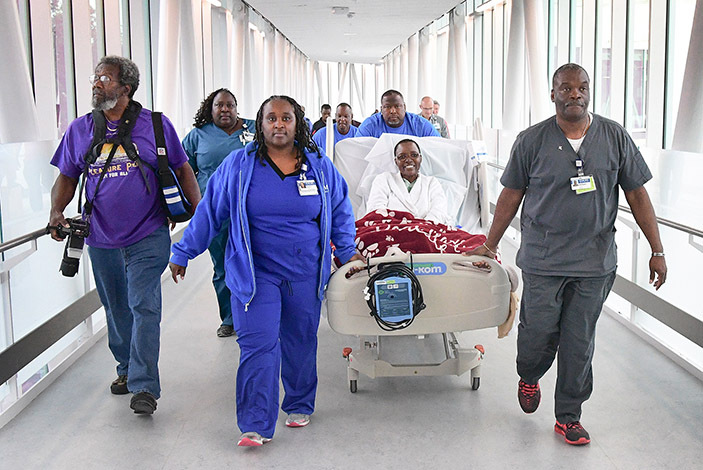 Crystal McCollum, a 46-year-old mother of three from Ellenwood, Ga., was the very first inpatient to cross over Clifton Road via the second level of the hospital's pedestrian bridge, dedicated for patient transport, and into the tower's new spacious and sunny healing environment. Sharing in the excitement with her were McCollum's husband, their two children and her mother and father. "We have waited for this day to come for a very long time, and we are thrilled Mrs. McCollum and many other patients are now occupying our new hospital addition," says Bryce Gartland, MD, CEO of Emory University Hospital. "This new space was created by patients and families for patients and families to provide the best means of care and recovery possible." McCollum is no stranger to hospitals. Less than two years ago, she was diagnosed with a rare form of abdominal cancer called Pseudomyxoma peritonei or PMP. In this disease, cancerous cells in the abdomen produce a jelly-like substance called mucin, which can affect organs throughout the abdominal cavity. Surgery and a procedure called HIPEC (Hyperthermic intraperitoneal chemotherapy) -- a highly concentrated, heated chemotherapy treatment delivered directly to the abdomen during surgery -- are used to treat the condition. 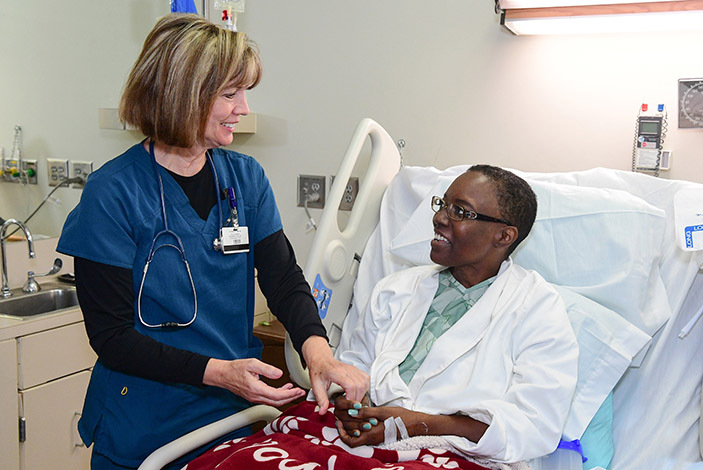 Under the care of surgical oncologist Charles Staley, MD, who is also chief quality officer of Emory's Winship Cancer Institute, McCollum was treated earlier this month for her condition at Emory University Hospital. Expert providers from Winship, the only NCI-Designated Comprehensive Cancer Center in the state, are caring for surgical oncology, medical oncology and bone marrow transplant patients in the new tower. Kidney, liver and pancreas transplant patients will also recover in the tower, further expanding what is already Georgia's most comprehensive transplant program. The 450,000-square-foot, $400 million new hospital tower contains 232 patient beds, including 40 critical care beds. The building provides an additional 128 net beds to care for patients, bringing the total number of licensed beds at Emory University Hospital to 733. The tower also expands the hospital's diagnostic and treatment spaces, anesthesiology pre-operative services and radiology. 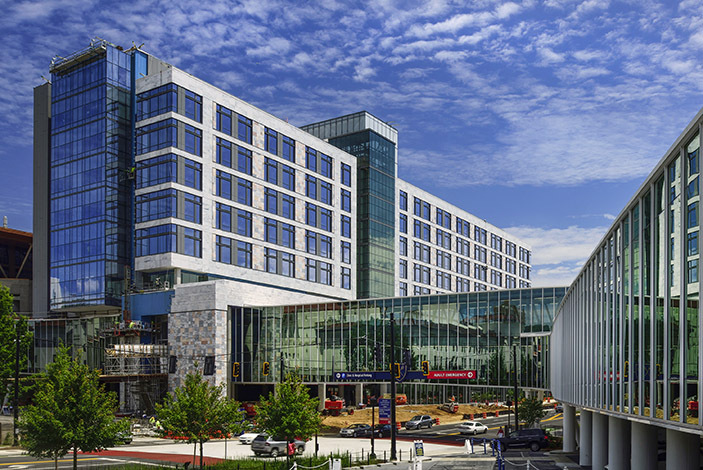 The Emory University Hospital Tower is expected to be fully operational by the end of October.